If you are searching for a great law firm that handles business law and always provides the best services possible to its clients, then Michael Howard Wolf Law Firm, located in Fort Lauderdale, Florida, is the perfect option for you. We strive to provide a 110% effort to thoroughly guide our clients, especially to prevent a result of litigation. Disputes and conflicts are bound to happen in business, of course, but we are constantly on the lookout for our clients and ready to aggressively defend the interests of our clients. As a law firm that is rooted in excellence, we will do everything in our power to achieve a favorable result so that you are not losing sleep at night. There are various benefits that stem from having an attorney by your side when starting, running, and/or selling a business. Businesses that are in constant contact with an experienced business attorney are more likely to avoid any major legal matters. At Michael Howard Wolf Law Firm, we like to advise our clients to have secure insurance coverage. When contracts are being drafted, we are meticulous and thorough to ensure that any contract disputes can be avoided in the future. This is done by doing things such as putting the key terms in the writing and including all disclosures. We also provide world-class strategies that facilitate the resolution of disputes which can include mediation or arbitration, depending on our clients’ desires.  Michael Howard Wolf Law Firm is more than prepared to aggressively represent our clients when they are in need. It is our duty as an experienced law firm that thrives on excellence, principle, and professionalism, to defend our clients who may have been wronged by interference with the contract process, fraud, misrepresentation, etc. For example, in a case where our client is a victim of breach of contract, we ensure that the appropriate action is taken per our client’s desires and needs, which generally includes ensuring that the breach is cured or the ones who breached said contract pay the appropriate damages. If our client becomes a target for frivolous claims, we will step right into the middle of situation to defend our client and ensure that they take the proper steps to resolve the situation. Remember: Michael Howard Wolf Law Firm is also a business. This means that we have a crystal-clear understanding about our clients’ desires and are considerate about timeliness and making our services as cost-effective as possible. Another aspect that we genuinely understand when dealing with our business clients is the need to preserve business relationships while striving for professionalism in our services. In our endeavor to develop and maintain a healthy relationship with our clients, we always go the extra mile to build trust. This is extremely important for obtaining our clients’ desired results. Some of the ways in which we build this trust with our clients are by giving undivided focus to our clients and their needs, maintaining constant communication, and making sure that they are consistently updated on their case. Michael Howard Wolf Law Firm is more than ready and prepared to assist you in any legal situation with your business. We have a vast amount of resources within our hold, and we are not afraid to use them to aggressively fight for you. Michael Howard Wolf has over 40 years of experience behind him, having served clients all over the state of Florida. Our legal services will never be held back when you are in a sticky legal situation, such as construction litigation, restraint of trade issues, business torts, general contract disputes, or any other legal matters regarding your business. Located in Fort Lauderdale, Florida, do not hesitate to call and visit Michael Howard Wolf Law Firm regarding any business issue you have. Let’s consider business torts. Business torts usually come in different forms. A common example of this is when you have a contract, you deliver in a profitable way, and then the contract is breached by the other party without any tangible reason. You later discover that a third party made the other party breach that contract. In this case, you hire Michael Howard Wolf Law Firm to act against that third party that caused the breach of contract. Michael Howard Wolf Law Firm is prepared to handle broad spectrum of business legal matters from misrepresentation to unfair trade practices to interference with your business. Whatever legal assistance you require for your business, we are more than ready to help you and do everything in our power to deliver your desired results. At Michael Howard Wolf Law Firm, we understand that being a business owner requires you to fight hard to survive and remain relevant as a business. With our long history of success, our standards are higher than most law firms, and we know we have what it takes to effectively resolve your business matters swiftly. Michael Howard Wolf’s 41 years of experience undoubtedly speaks for itself. We would love for you to get in touch with us, either by email or phone, to discuss any business issues you may be having. We will provide you with a FREE 30-minute case evaluation (worth $200) so that we can both decide if you have a case and whether we are a great fit for each other.